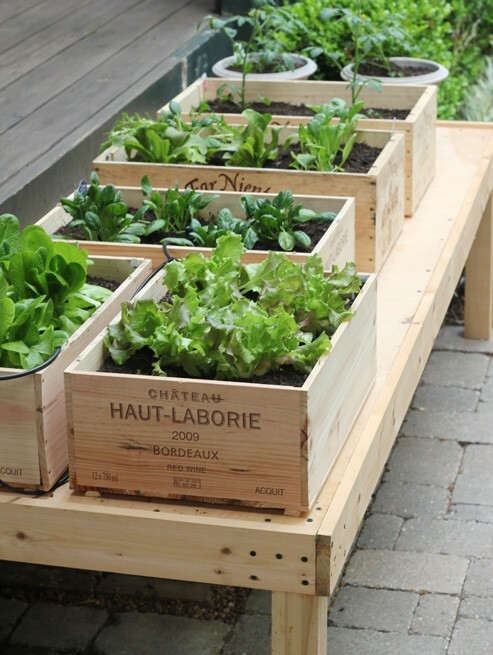 Whether you are keen on cooking or not, we all like the idea of growing our own herbs and/or veggies … I do find that more often than not a veggie garden is not the “prettiest thing” in the yard as it can look messy quickly – so I quite like the idea of creating your veggie garden in planter-boxes to give it a more structured and maintained look. 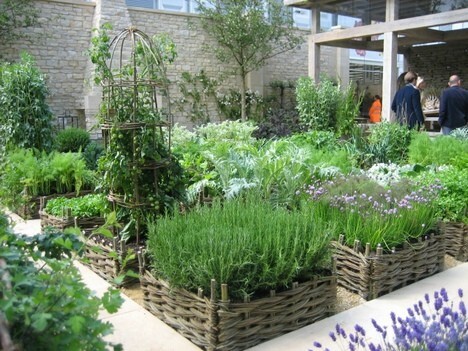 Woven oversized baskets adds tecture and interest to this garden. 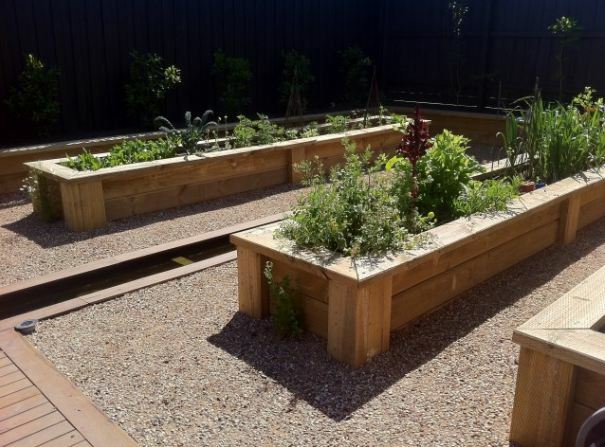 Wooden boxes placed on fine gravel-beds have a structured and neat appearance. My favourite: The smaller wooden wine crates creates an interesting display and allows for easy handling.